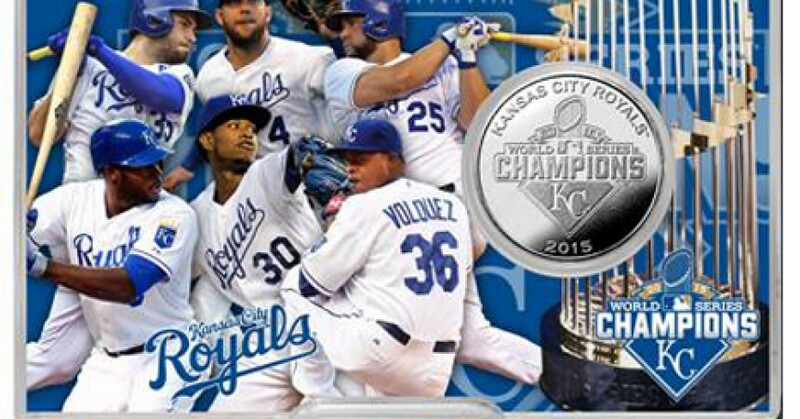 Kansas City Royals fans can celebrate the 2015 World Series Championship with keepsake commemorative gold and silver coins. Clay County Savings Bank is currently accepting pre-orders for the coins, which make great holiday gifts for all die-hard Royals fans. The collection of coins includes limited edition gold and silver coins and a silver coin ornament great for holiday displays. Order forms are available at any of the local Clay County Savings Bank locations. For more information or to place an order, call (816) 781-4500. 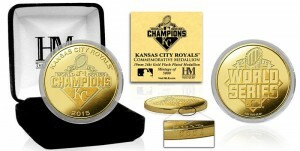 The 2015 World Series Champions 24KT gold plated commemorative Mint Coin measures 39mm in diameter. The front of the coin is struck with the 2015 World Series Champions logo and the reverse features the 2015 World Series logo. Each coin is individually numbered and protected in a clear capsule to preserve its condition and is delivered in a black velour jewelry display box. This collectible comes with a certificate of authenticity and is a limited edition of 5,000. Officially licensed by the MLB. The minted 39mm 2015 World Series Champions logo silver-plated commemorative coin is protected in a 4×6 acrylic case. The case includes a commemorative design on both sides featuring the stars from the 2015 World Series Champions and each coin card is delivered with a stand. Limited Edition of 5,000 and officially licensed by the MLB and MLBPA. 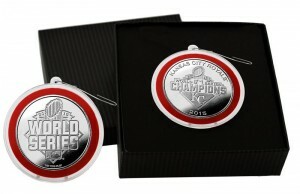 The 2015 World Series Champions silver plated coin is securely placed in a special ornament capsule to display during the holidays. Each ornament is placed in a custom gift box. Officially licensed by the MLB.